Its research arm, StatCounter Global Stats finds that mobile and tablet devices accounted for 51.3% of internet usage worldwide in October compared to 48.7% by desktop. “Mobile compatibility is increasingly important not just because of growing traffic but because Google favours mobile friendly websites for its mobile search results.” He pointed out that Google recently launched a tool where businesses can test their website mobile performance. 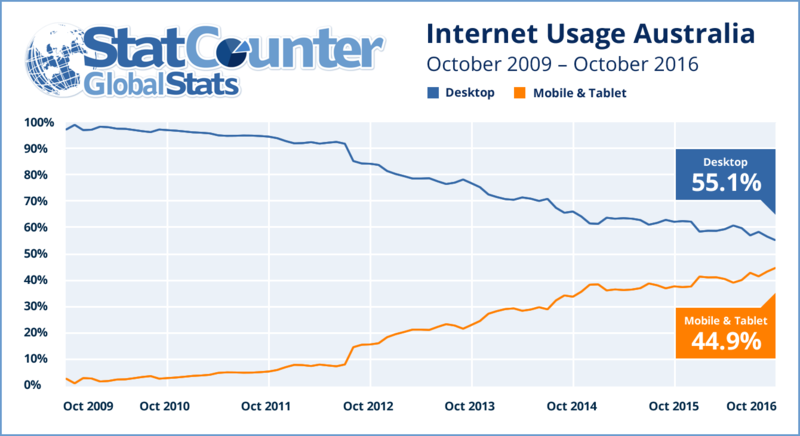 Despite the rapid growth of mobile devices, desktop is still the primary mode of internet usage in mature markets such as the US and UK. In the UK desktop is on 55.6% with mobile and tablet on 44.4%. In the US desktop still accounts for 58% of internet usage compared to 42% for mobile and tablet.